Re launched in October 2004 the UK's most popular roll brand is back to provide exacting standards of quality & service to all market sectors. We are a fast moving, customer focused business specialising in paper rolls & consumables for point of sale, office & many other applications. We pride ourselves on being at the forefront of technology. If you can't find the right product click the compatibility box above & call the compatibility hotline. 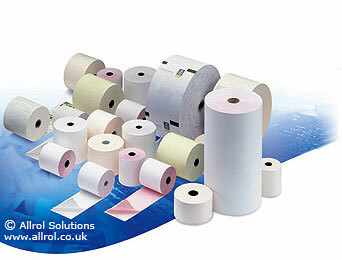 As a leading innovator in paper roll products, the Roltech range offers more than a thousand different roll products - to deliver outstanding performance across a wide range of machines.